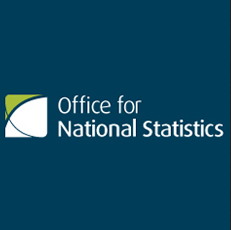 The UK’s 0.8% quarter-on-quarter expansion in Q1 2014 was confirmed by the Office for National Statistics’ second estimate of GDP released this morning, leaving the level of output 3.1% above a year before. New figures in this release show that the recovery is being underpinned by growth in business investment, which rose in Q1 2014 by 2.7% compared to the previous three months. This is the fastest quarterly growth seen in a year, and follows two consecutive quarters of slightly slower increases, putting business investment a solid 8.7% above its level in Q1 2013. This is an encouraging sign for the long term path of UK recovery; investment is an important driver of sustainable growth, as it helps to boost productivity. The outlook for investment is also positive, with the latest results from the ICAEW/Grant Thornton Business Confidence Monitor suggesting that private sector firms plan to maintain their current rate of investment over the year ahead. Consumer spending continued to show robust growth this quarter, rising in Q1 by 0.8%, up from a 0.4% increase in Q4 2013. During Q1 2014, consumer price inflation fell to its lowest since late 2009, while employment increased at its fastest rate in 25 years and wage growth continued to gradually pick up. All of these factors helped to support consumer spending, and the latest figures on retail sales suggest that this pattern continued into April. The UK labour market is expected to strengthen further through 2014, helping to boost household spending power. However, one threat lurks on the horizon for the consumer outlook – once the Bank of England starts to increase its base rate, mortgage interest costs are likely to rise, weighing down on real incomes. One weakness holding economic growth back this quarter comes from the UK’s trade performance, as exports fell by 1.0% in real terms in Q1 2014 compared to Q4 2013. Although imports also fell back, by 1.1%, net trade’s contribution to growth was zero this quarter. This trend is expected to continue in 2014 as the trade deficit widens. Weak growth in the UK’s main trading partner, the Eurozone, will make it hard to significantly increase exports this year. Overall, today’s results highlight the current strength of the UK economic recovery. Cebr expects GDP to rise by 3.0% over 2014 as a whole, suggesting it could be the fastest growing G7 economy this year. However, with a base rate rise likely in 2015 and fiscal cutbacks necessary in the next parliament, this pace of expansion is expected to slow next year.